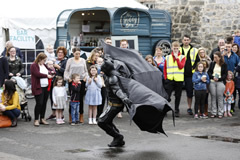 With a wide range of flights, ferry and bus services to choose from, enjoying what the Festival Lough Erne has to offer has never been easier. Northern Ireland is served by flights into Belfast International Airport Belfast City Airport and City of Derry Airport. Fly direct into Northern Ireland from a wide range of airports in the UK, Europe, USA and Canada. 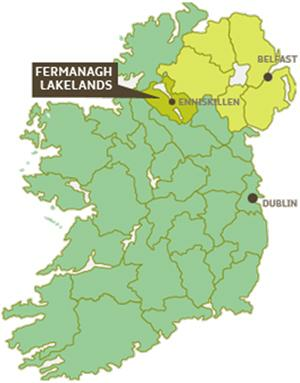 Belfast International Airport and Belfast City Airport are both approximately 2 hours drive from Fermanagh. The City of Derry Airport is approximately 1 hour and 40 minutes. Dublin International Airport serves a multitude of international locations and is approx 2½ hours from Fermanagh. Regular, scheduled ferry services operate between Northern Ireland and Great Britain. Other sailings operate from Fishguard to Rosslare, Holyhead to Dun Laoghaire or Dublin Port and Liverpool to Dublin. Information on all Ulsterbus services in Northern Ireland can be obtained from the easy to use Translink journey planner.For all routes originating from the Republic of Ireland please visit Bus Eireann’s website. If you are travelling to Fermanagh by car you may like to plan your car journey with the AA Route planner. There are outlets at all the main points of entry to Northern Ireland and the Republic of Ireland as well as local car rental companies. Contact the Fermanagh Visitor Information Centre on 028 6632 3110 for more information. Translink Ulsterbus operates local services throughout the county as well as Express services to Belfast and Cross-Border destinations. Taxi services are available county-wide. 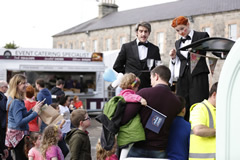 Contact the Fermanagh Visitor Information Centre on 028 6632 3110 for more information. A choice of mini-bus and coach services is available and a specialist tour operator offers a programme of day trips and tours. Contact the Fermanagh Visitor Information Centre on 028 6632 3110 for more information. Fermanagh’s rich history has left a legacy that stands out in the form of some of Ireland’s finest treasures. Intriguing rock carvings dating back as far as 3000 BC, stunning Castles & Stately homes as well as ancient traditions & crafts tell the story of a county steeped in history. Enniskillen Castle situated on the banks of the River Erne was built in the early 15th Century by the Maguire Chieftains who ruled Fermanagh at that time. 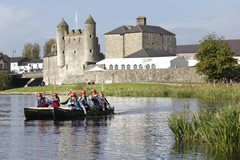 Home to Fermanagh County Museum and The Inniskillings Museum, visitors to Enniskillen Castle can also enjoy seven new galleries which tell the story of the local area from prehistoric to modern times, including the recent excavation of the Drumclay Crannog in Enniskillen. The complex also boasts a stunning new purpose built visitor centre – with impressive views of Lough Erne and the Castle’s redeveloped grounds and gardens – with a genealogy service also available. Founded in the 6th Century by St. Molaise, Devenish Island is located in Lower Lough Erne and is one of the finest monastic sites in Ireland. It is home to a perfect 12th Century round tower, several Church ruins, two graveyards and an unusual cross. Established in 1857 Belleek Pottery holds a very special place in the cultural and commercial heritage of Co. Fermanagh. The Belleek Visitor centre hosts one of the most authentic museums in the Country; on permanent display are items that have been made in the Pottery including earthenware dating from the 1850’s, magnificent creations from every Belleek period as well as Masterpieces like the Exhibition Centrepiece. As Belleek celebrates its 150th anniversary we invite you to visit this world renowned visitor attraction which has become a global icon for Irish craft & design skills. 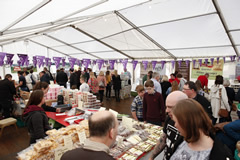 There is so much to enjoy in and around the Fermanagh Lakelands so plan your visit well. Discover Northern Ireland is another useful website with information on walking and details of activities, attractions and entertainment within the Fermanagh Lakelands and beyond. Fermanagh Visitor Information Centre can help you choose the right accommodation for you with the best selection of hotels, B&B’s, self-catering, camping, guest houses and hostel options. 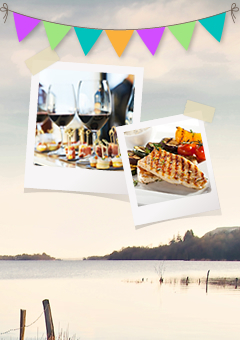 Fermanagh Lakelands has prepared a selection of downloads to help inspire and inform your trip to Fermanagh.